CallHealth positions itself as supermarket in the health care at home sector and is already dealing with about 2000 calls per day from the 11 cities it currently covers. Hyderabad-headquartered healthcare company CallHealth, that is positioning itself as a supermarket of home health care services, is nursing rapid growth. The company, promoted by Sandhya Raju, daughter-in-law of B Ramalinga Raju, the founder of Satyam Computer, has plans for a footprint across 50 Indian cities by end of next fiscal year apart from making a foray into some countries abroad. It is currently spread across 11 cities and receives in all about 2000 calls a day, which, according to its CEO Hari T, is double of what, the year -old company used to get six months ago. It today, executes between 1200 and 1400 orders a day. Some of the services it offers includes: doctor consultation, diagnostic tests, delivery of medicines, professional homecare services (like nursing and physiotherapy) and these can be booked through a phone call, website and through a mobile app. Ask Hari on the triggers for foray abroad and he says, "the point is that whatever we are building as a platform and a service that is replicable in any place that has a fragmented health care ecosystem." And in this, he says, "we are obviously looking at and committed to taking it beyond the shores of India." While quick to add that it is still premature to share the exact plans, he says, the company always believed that the first opportunity would be India and some of the developing countries followed by some of the more developed nations. But then, he does say that "whatever platform we are developing was never purely for India and was meant to look at the complexities and regulatory issues applicable to different countries and extend it to those countries through perhaps local partners" and these are to be matched with attempts to raise the funds abroad to fund these expansions abroad. At the moment, he says, CallHealth is spread across some 11 cities within India like the Delhi NCR, Hyderabad, Chennai, Visakhapatnam, Guntur, Rajahmundry, Vijayawada, Chitoor, Warangal, Nellore and Kurnool and the plan now is to take it to 50 cities in all by the end of next fiscal year. But then, those who understand this space, say, the home health care is an activity that is largely dependent on the availability of medical and paramedical workforce. Therefore, it may not be suited to countries where these is shortage of such talent. Within Europe for instance, the UK already has home health care providers and has looked at this model in the past, which may not be the case in some of the other European countries. However, other countries like the US and Japan are also known to have a high penetration of home health care services. 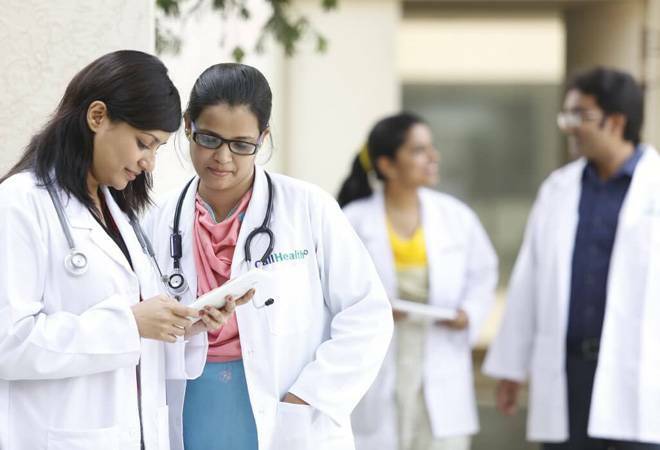 The obvious questions therefore CallHealth needs to address is the extent to which an Indian model of health care delivery is replicable in some of the countries abroad, specially in Europe, North and South America. Also, on the possible challenges. Reason: if South America is a lucrative market then what has been stopping players in the US from venturing into this market.